Delivering dentistry focused around your needs and all under one roof. Let us personally welcome you to Manchester Advanced Dental where we believe in pampering you with the best dentistry available while making it comfortable and affordable. Instead of bouncing around from office to office, we have EVERYTHING you need for you and your family. From dental implants to family dentistry, our expert team can handle it all. Dentistry should be affordable. We do everything possible to accommodate your budget. We have plans for those without dental insurance and accept multiple third-party financing options. Call us for details! Did you have a bad dental experience in the past? We’re here for you and will do everything possible to ensure your visit is comfortable and safe. Sedation dentistry is also available for anyone who needs it. ‘‘It's my vision that every dental visit be a positive and rewarding experience because we truly care about you and the community. We look forward to serve you!" 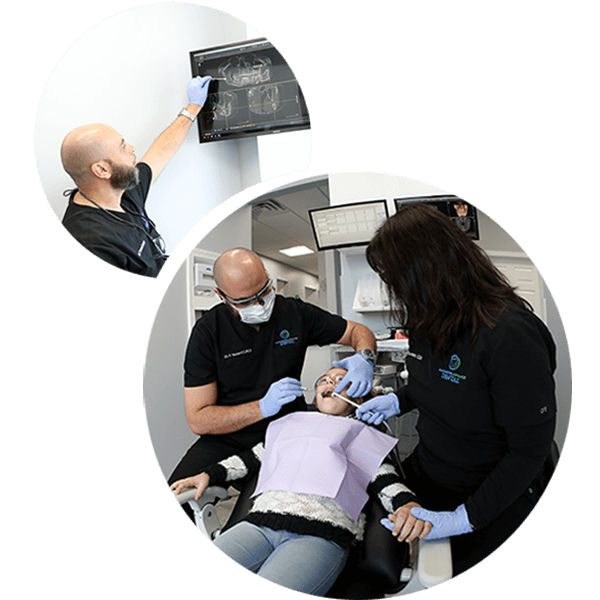 Passionate and committed to implant dentistry, receiving the training and skills to place and restore in the same building. Regularly travels nationally and internationally to share and learn with the top clinicians of the world in the disciplines of medicine, oral surgery, implantology, and cosmetic dentistry. Built Manchester Advanced Dental with a vision to be the new home for outstanding and advanced dental care in Manchester, NH and the surrounding areas. From same-day care to dental implants, we have it all. All-On-Four Dental Implants are in! Say “goodbye” to slipping and sliding dentures, and join the 98% of patients who’ve chosen All-On-Four dental implants as their solution to replace missing teeth. I started treatment with Dr. Yadani about six or seven years ago after several years of unsuccessful treatment elsewhere. I had a lot of anxiety about going to the dentist and having teeth pulled. 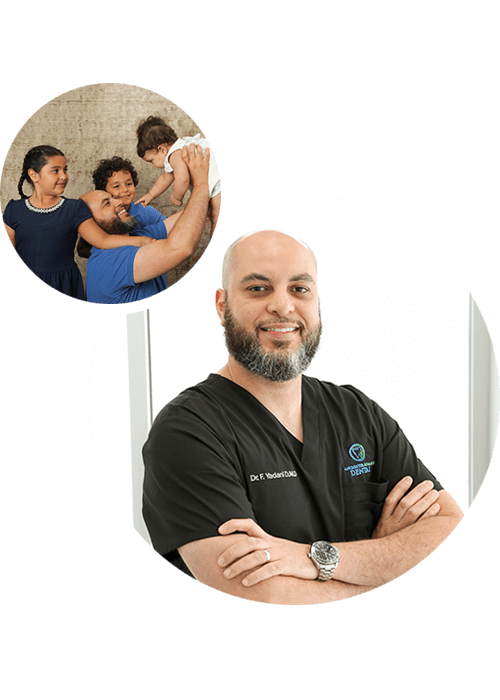 Dr. Yadani gained my trust and confidence time and time again, and he has always made certain that I am comfortable during every procedure. First, the atmosphere is luxurious and beautiful! It's very comfortable, so much it doesn't feel like a dentist office. You are greeted with smiles and friendly faces! Everyone is amazing, you should experience for yourself! Dr. Yadani is a Pro at being as gentle and patient as possible when working on your teeth. I emailed looking for an appointment because of tooth pain I’d had for a few days. I received a call back the same day and they were able to see me within a few days. Dr. Yadani is extremely knowledgeable. He explains everything before he does anything. Receive a free teeth whitening kit when you book your new patient exam, x-rays, and cleaning. This New Patient Special is only available for a limited time! Valid for 1st 100 new patients. Offer not valid with insurance, discount, or free plan. Have you heard you’ll need your wisdom teeth extracted? Come talk to us with a no-strings-attached consultation and we’ll give you an exam with x-rays to discuss your options. Are you a candidate for dental implants? Schedule a complimentary consultation with us and we’d be happy to discuss your options. This offer includes a 3D scan. * Specials may not be combined and are for new patients only. Some restrictions apply. Expires 3/31/19. We have ample free parking, including ADA accessible spots.